The AP biology guru retired last year. I tried to teach his course this year, the course with spectacular results. I tried to use his equipment, his models, his plans. His kids routinely earned 5's on the AP test. I think one of them may have found a cure for some rare disease while working in his class. They come back to visit with spectacular tales of success in college. He was truly a wizard. Do my eyes look a little green to you? Folks assume that because I was once a doc I have a clue about biology. Medicine involves more guessing than even those who practice it realize, and though I was a decent doc, medicine remains a craft, not a science. I know a bit about a lot of things, particularly things that excite me, and I have a pretty good track record getting kids excited about science, particularly the bright wackadoodles who (rationally) decided that high school is mostly a waste of time. Some of AP (*gasp*!) is a waste of time. I bombed. I tried to follow the AP curriculum to the letter. I tried to cram two semesters' worth of trivia into my lambs' brains. I pushed, they balked. A few quiet ones kept me going--it's a privilege teaching bright kids, and humbling to know they (mostly) did not need me. This week I disassembled the guru's terrarium. Heck, I already managed to off the salamanders. I moved the fish into my backyard pond. I tossed away some of his old books. I threw away a pile of his exams. I shared dinner with him this week--he understands (better than I do) why I need to carve out my niche. So now I've bought myself a summer of curriculum development. I had this year's valedictorian in my class--as kind as she is brilliant. She had a huge smile for me right after graduation. I realized (too late) that my task is to guide, not push, those who love biology and who are in the course for the right reasons, not because guidance said it will make their transcript look better. School's been out for two days, and already I want to jump back in. I have the summer to make a course that works for me and my lambs. I'll be posting thoughts and asking for your help along the way. This will be my first year teaching AP Bio and I am very nervous. If I run across anything, I will be sure to let you know and I will post things to my blog too. Have you attended the summer institute yet? 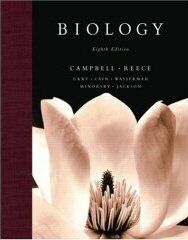 Get yourself top Kim Foglia's website Explore Biology; you should also join the AP biology listserve. I took AP Bio with the guru. I went from someone loathing bio [with the fire of a thousand suns!] to someone completely fascinated and in love with it. On the same note, I read your blog and wonder how the lambs don't become equally as enthralled or moved by the magic that you find in the world around you and, well, biology. Biology, chemistry, and maybe sometimes physics [good gracious, I still don't understand physics despite the kind and endless aid of Mr. D] seem to always go hand in hand to create the bigger picture of "world" as we thought we knew it. I think that when you start to paint the world with the beautiful colors that you see, the kids will become fascinated with the world instead of the colors that the former guru used. I believe that the goal of biology will always be to become fascinated by the world around us. I, too, inherited a fine tuned AP Bio program and had to make it my own. The previous teacher carefully selected and gated the community---and always had stellar results from students who would have probably done well with a mannequin for a teacher. I was more interested in encouraging students. I took off the gates, ended up with 8x as many students, and a much lower percentage "pass" rate (as even kids who dropped out of every other class hung in there with me). It was wonderful. The College Board will put some constraints around the program, but you really can make it whatever you and your students want it to be. I also highly recommend the experience of being a Reader. Be sure to put in your application right away. I know they say they want you to have a certain amount of experience, but they took me after my 2nd year with AP. Now this is a project I am anxious to hear about. I look forward to what is coming from you in regards to this.